We’re committed to saving you money by offering premium quality blinds and awnings at factory direct wholesale prices. Crystal Image Blinds extensive range of outdoor blinds, sometimes referred to as, café blinds, bistro blinds, alfresco blinds or patio blinds, are custom-made for an exact fit in a choice or combination of high grade clear or tinted PVC, woven mesh or canvas. 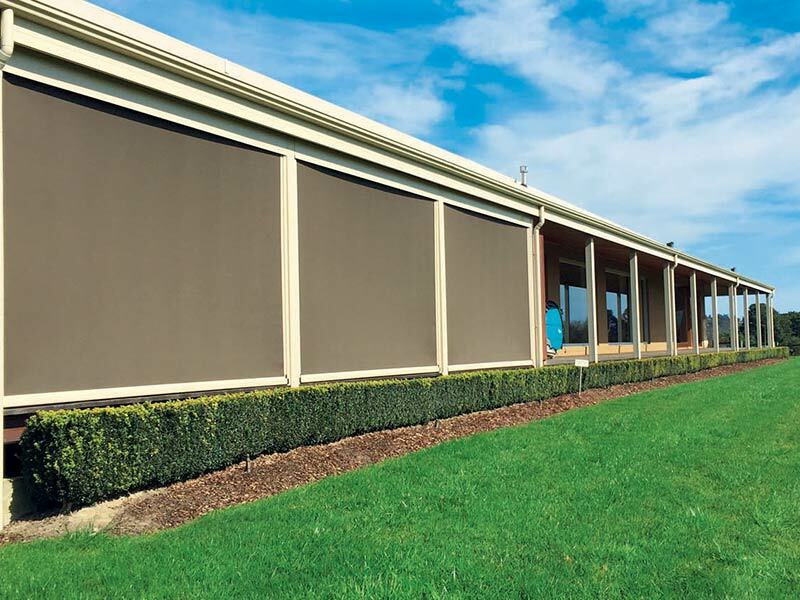 Our range of outdoor blinds also includes Ziptrak®, the number #1 outdoor blind for all Melbourne homes and businesses. 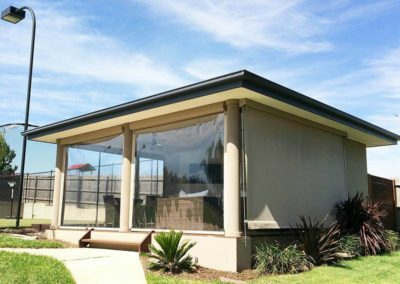 All our blinds and awnings are custom made to the highest standards in our factory in Kilsyth, Melbourne. You’ll be spoilt for choice with our wide range of fabrics, materials, styles and designs. We deliver the best quality products on the market. We are committed to saving you money by offering premium quality blinds and awnings at factory direct wholesale prices. We offer an uncompromising level of personal service from your initial consultation, measure and quote and professional installation. 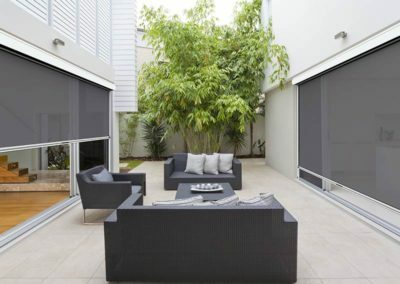 You have the choice of high grade clear or tinted PVC, woven mesh or canvas outdoor blinds. 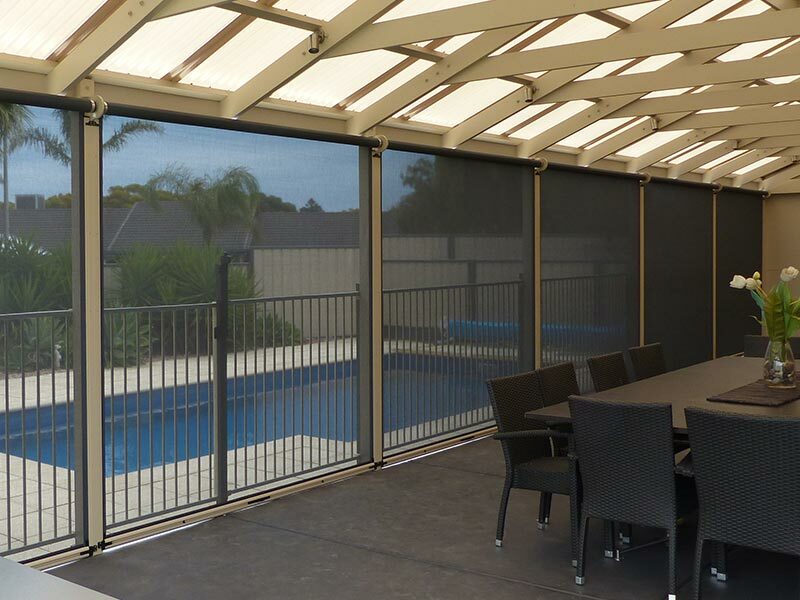 Clear or tinted PVC outdoor blinds provide protection from the elements so you can turn an outdoor alfresco area into an extra room that can be used all year-round. 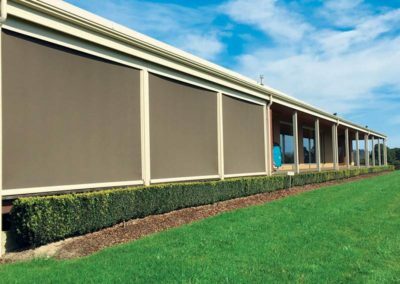 Canvas blinds offer 100% all-year-round protection from the Melbourne sun, wind and rain. 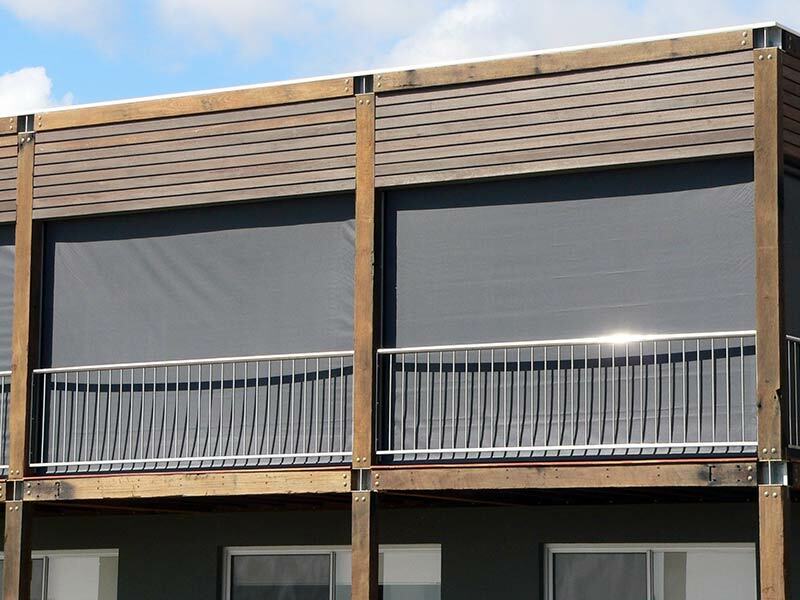 Whilst woven mesh outdoor blinds offer the best of both worlds. Being see-through, you retain your outlook with the added advantage of providing 90% protection from the sun, wind and rain. But not on quality or style with our exhaustive range of outdoor blinds. For a free measure and quote, plus free installation call us on 03 9761 6714. 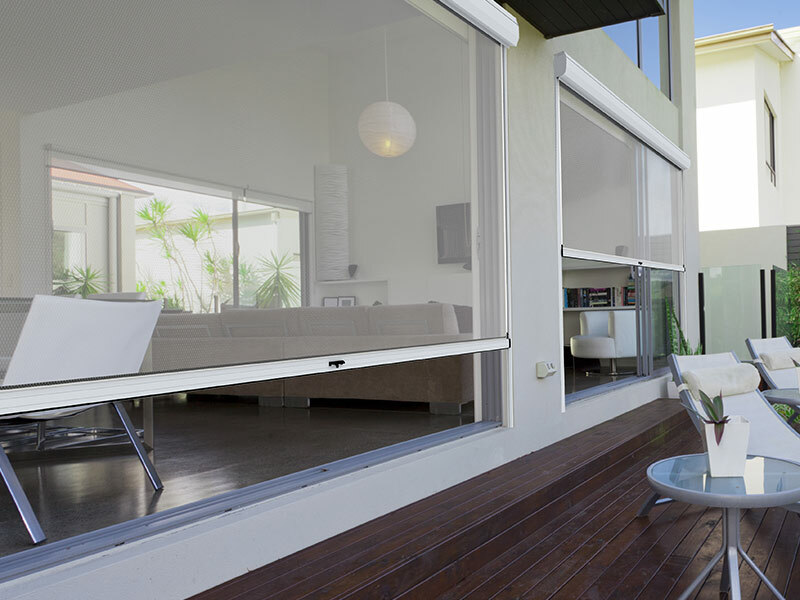 Ziptrak® blinds are our most popular outdoor blinds. Instantly transform your space, connecting the indoors with the outdoors to create one harmonious space of seclusion and sanctuary all year round. 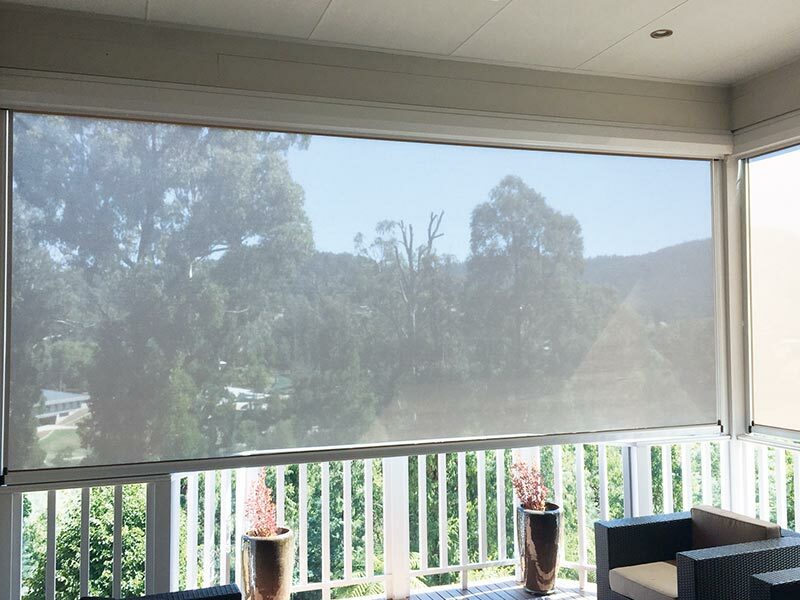 What makes Ziptrak® outdoor blinds so popular is their track guided blind system, offering ease of use and fast operation. 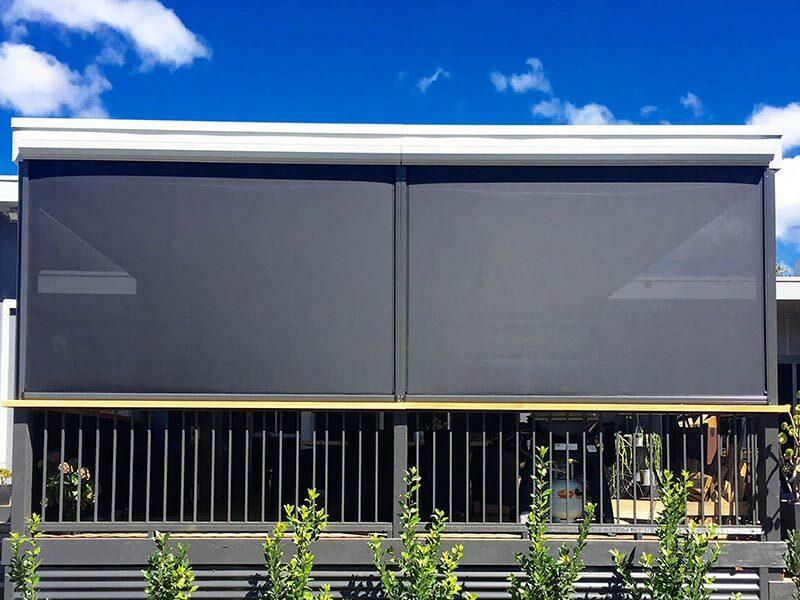 Ziptrak® blinds can be easily adjusted to any height to provide part or complete protection from UV, sun, wind and rain for all-year round outdoor entertaining, perfect for Melbourne’s ever changing climate! When not in use, Ziptrak® blinds retracts completely into a neat and unobtrusive cassette mounted above and can be lowered and locked into any position. Ziptrak® blinds offer a multitude of excellent options including a choice of fabrics including PVC and Mesh, pull stick operation, a motorised switch option or even remote control. 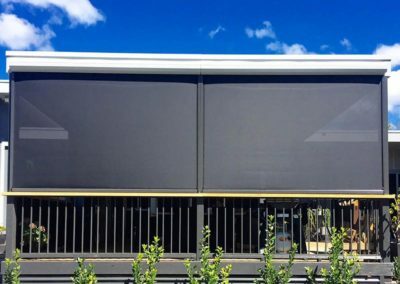 Ziptrak® Blinds with no cords, buckles or zippers, and stunning finish and appearance makes them the number #1 outdoor blind for all Melbourne homes and businesses. 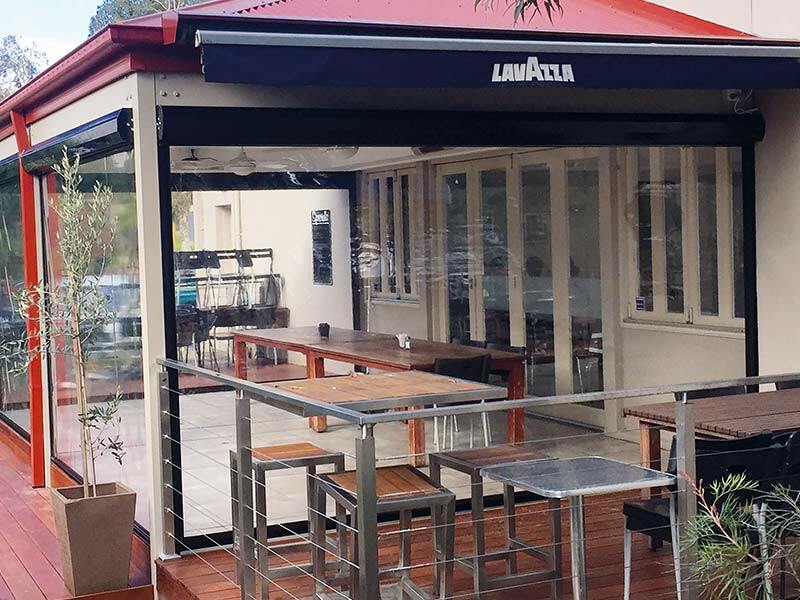 Known by many names such as café blinds, bistro blinds, alfresco blinds or patio blinds, these outdoor blinds are available in clear PVC, tinted PVC or mesh fabrics. They offer a choice of crank-operated manual operation allowing them to be wound up or down via a crank handle, or fully motorised for ease of use. 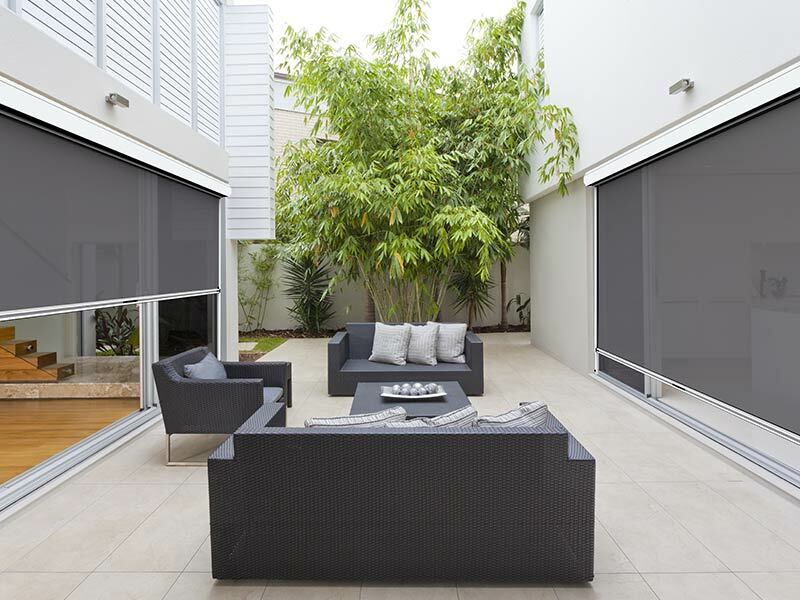 These outdoor blinds extend your living area to the outside and are a great way to entertain outside whilst protecting yourself and your furniture from the weather elements. 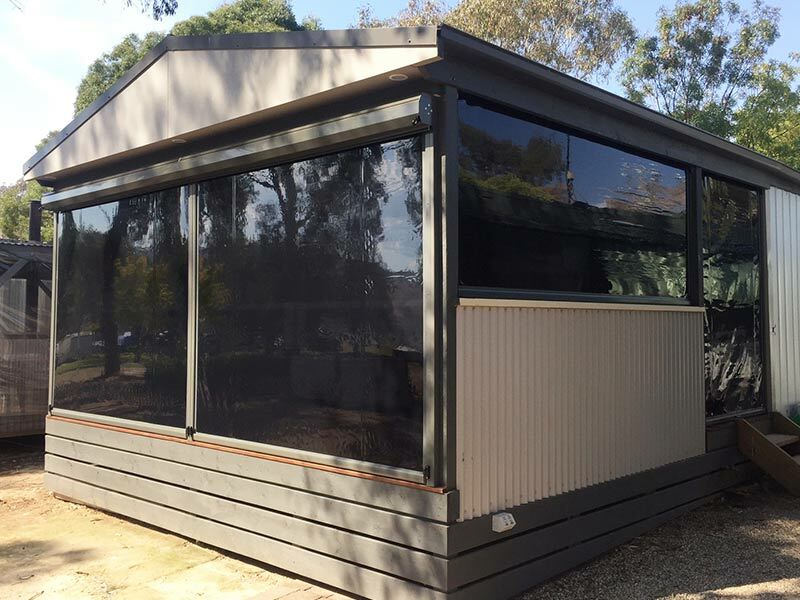 Various options are available including optional Colorbond pelmet box, weather flaps and a range of colours and trims. 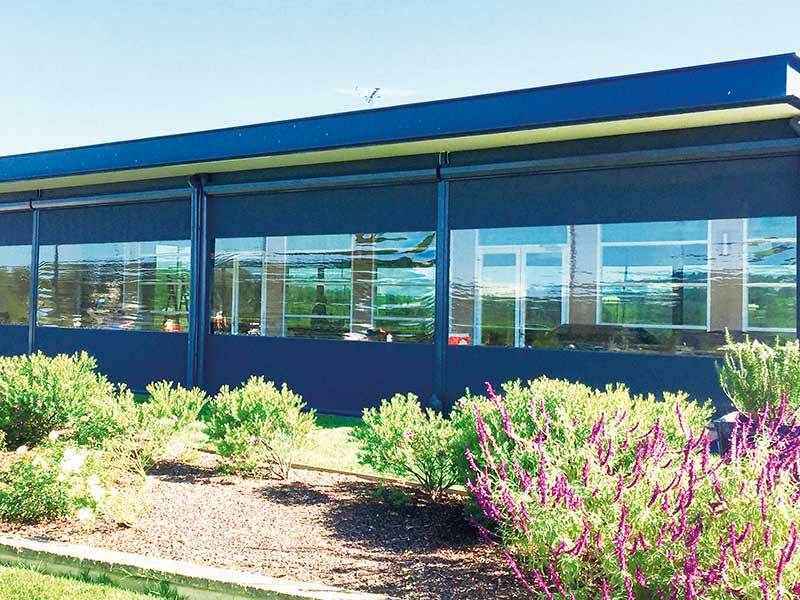 Fabrics such as clear PVC can help keep the warmth in to help protect from wind and rain, whilst sheer or mesh can help reduce the heat and glare inside the area. 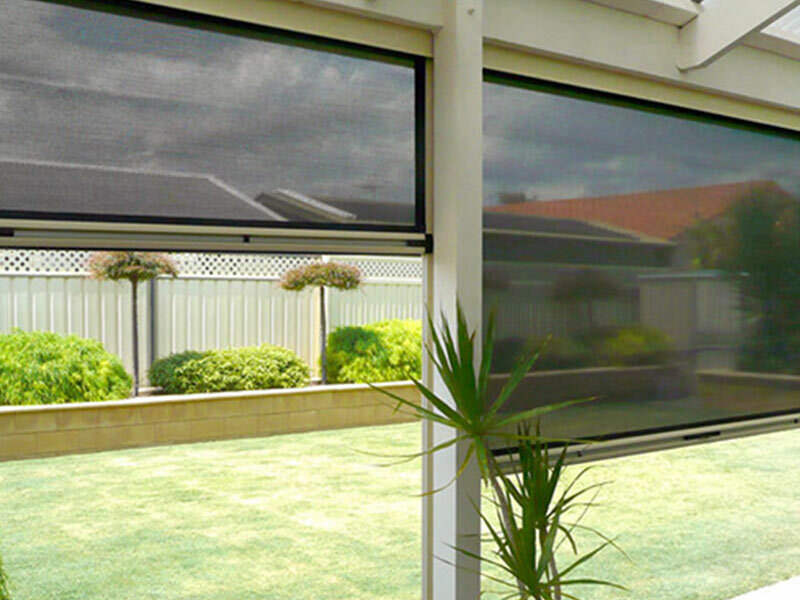 Our range of outdoor blinds also includes Ziptrak® blinds. 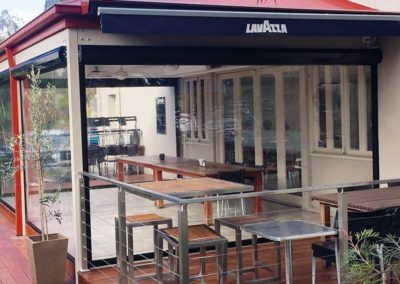 Crystal Image Blinds has been a preferred choice for restaurant, café and business owners, commercial and Industrial all over Melbourne and Melbourne’s eastern suburbs for over 10 years. 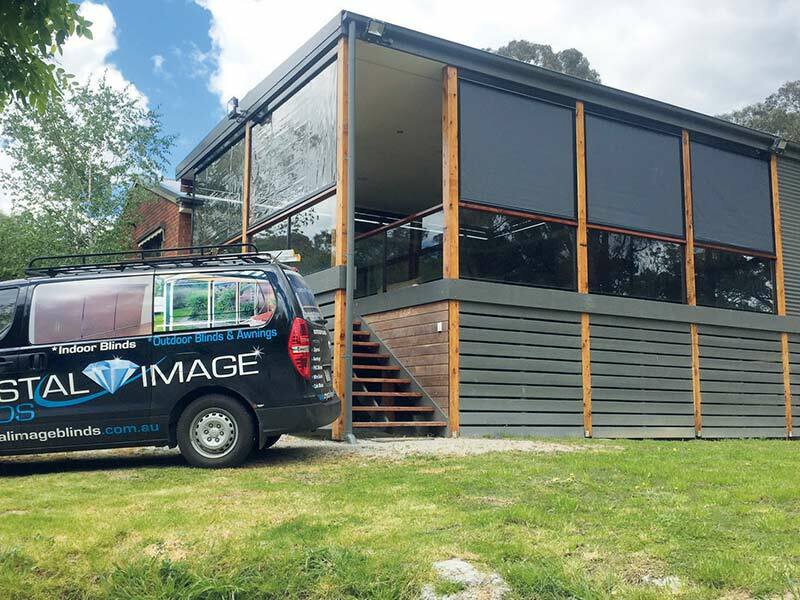 This is because our clients know that Crystal Image Blinds, manufactured and supplied directly from the factory in Kilsyth are of the highest quality and superior manufacturing standards, meaning that their outdoor blinds, Ziptrak® blinds and awnings, not only last a lot longer, but add value and a touch of class to their premises. 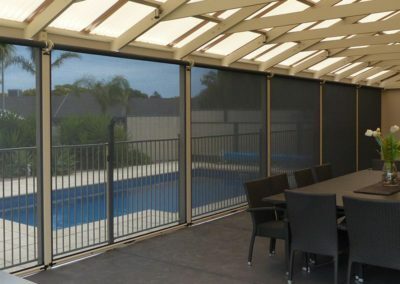 Crystal Image Blinds will work with you and offer a range lasting bind and shade solutions that are designed to meet your specific outdoor and shade needs. CONTACT US for a FREE measure & quote, plus FREE installation. 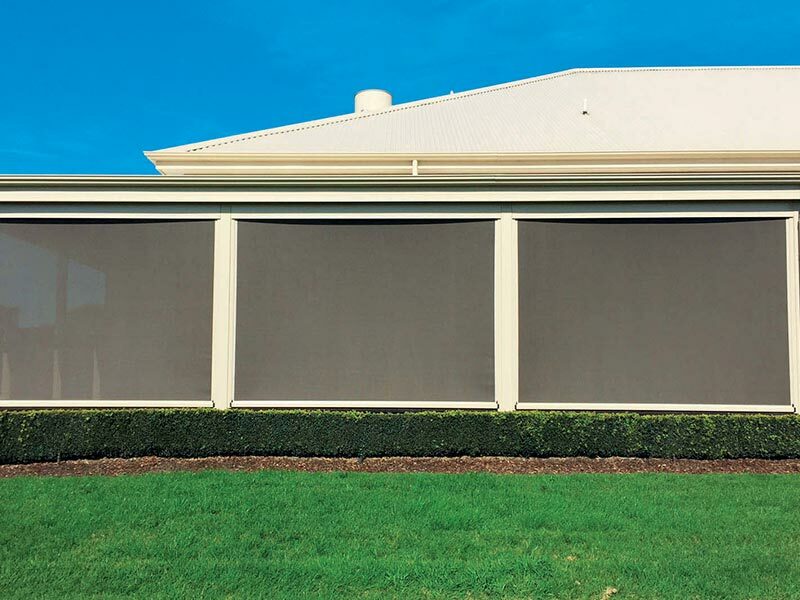 Find out more about Ziptrak® Blinds here.